There’s something about a hummingbird that brings joy to a moment. When we see a hummingbird, in our garden or as we’re going about our life, we take pleasure in watching the little bird’s seeming playfulness and in feeling the joy that it appears to have as it goes about its activities. Without being inside the mind of a hummingbird, we can’t say for sure that it flits from here to there (and from flower to flower) with joy on its mind. But, it sure looks that way. In many cultures, in fact, hummingbirds do represent joy and they serve as a reminder to savor each moment. Abutilon, also called Chinese bell or Indian Mallow, is one of about 150 species of broadleaf plants in the mallow family. A warm-climate flower, hyssop is an aromatic flowering perennial in the Lamiaceae family. 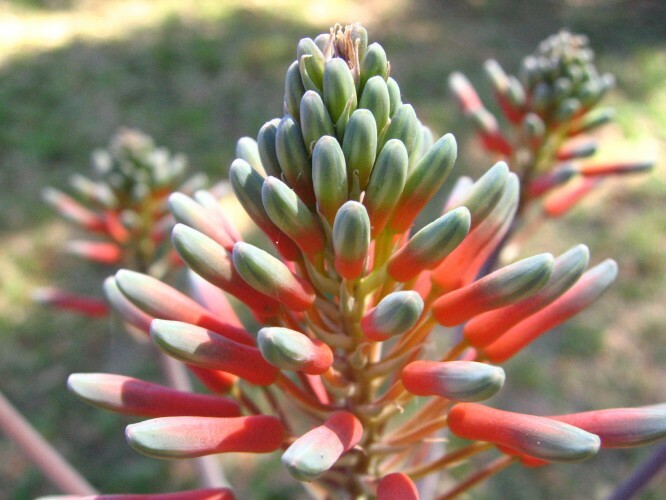 To attract hummingbirds to your warm-climate yard, plant aloe, one of approximately 500 species of flowering succulents. Crimson, or columbine, is often found naturally in meadows and woodlands. This hummingbird-friendly flower thrives in high altitudes throughout the Northern Hemisphere. Did you know that there are anywhere from 70 to 165 species of Bird of Paradise? Hummingbirds love these plants, which are actually in the legume family. Bottlebrush is a shrub that grows beautiful crimson red flowers. It’s a favorite of hummingbirds and it’s endemic to Australia. There are nearly 100 recognized species of fuchsia, and hummingbirds adore them all. Honeysuckle are mostly found in China, Europe, India, and North America. There are almost 180 species of this flower, which is great for the gorgeous hummingbird. In addition to these flowers, hummingbirds regularly get nectar from bergamot, firebush, water willow, torch lily, and sage. Plant any of these floral beauties in your garden and you’ll likely have sweet birdies come visit you on a regular basis. There’s something about a hummingbird that brings joy to a moment. When we see a hummingbird, in our garden or as we’re going about our life, we take pleasure in watching the little bird’s seeming playfulness and in feeling the joy that it appears to have as it goes about its activities.Without being inside the mind of a hummingbird, we can’t say for sure that it flits from here to there (and from flower to flower) with joy on its mind. But, it sure looks that way. In may cultures, in fact, hummingbirds do represent joy and they serve as a reminder to savor each moment.